Video of session 20, the conclusion of part 1 of Craig Hawkins College of Theology series on God and Logic. Audio # 1 of the College of Theology series on God and Logic. Audio # 2 of the College of Theology series on God and Logic. Audio # 3 of the College of Theology series on God and Logic. Audio # 4 of the College of Theology series on God and Logic. Audio # 5 of the College of Theology series on God and Logic. Audio # 6 of the College of Theology series on God and Logic. Audio # 7 of the College of Theology series on God and Logic. Audio # 8 of the College of Theology series on God and Logic. Audio # 9 of the College of Theology series on God and Logic. Audio # 10 of the College of Theology series on God and Logic. Audio # 11 of the College of Theology series on God and Logic. Audio # 12 of the College of Theology series on God and Logic. Audio # 13 of the College of Theology series on God and Logic. Audio # 14 of the College of Theology series on God and Logic. Audio # 15 of the College of Theology series on God and Logic. Audio # 16 of the College of Theology series on God and Logic. Audio # 17 of the College of Theology series on God and Logic. Audio # 18 of the College of Theology series on God and Logic. Audio # 19 of the College of Theology series on God and Logic. Audio # 20 of the College of Theology series on God and Logic. 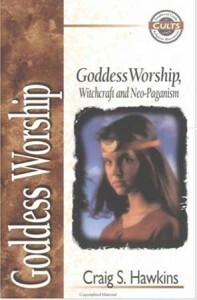 This volume of the Zondervan Guide to Cults and Religious Movements discusses Goddess Worship and the impact native religious traditions of Europe and tribal traditions from North America have on Neo-paganism. Fast, informed answers to the challenges of false religions This is an age when countless groups and movements, new and old, mark the religious landscape in our culture. As a result, many people are confused or uncertain in their search for spiritual truth and meaning. Because few people have the time or opportunity to research these movements fully, the Zondervan Guide to Cults and Religious Movements series provides essential information and insights for their spiritual journeys. The second wave of books in this series addresses a broad range of spiritual beliefs, from non-Trinitarian Christian sects to witchcraft and neo-paganism to classic non-Christian religions such as Buddhism and Hinduism. All books but the summary volume, Truth and Error, contain five sections: A concise introduction to the group being surveyed An overview of the group’s theology–in its own words Tips for witnessing effectively to members of the group A bibliography with sources for further study A comparison chart that shows the essential differences between biblical Christianity and the group Truth and Error, the last book in the series, consists of parallel doctrinal charts compiled from all the other volumes. Three distinctives make this series especially useful to readers: Information is carefully distilled to bring out truly essential points, rather than requiring readers to sift their way through a sea of secondary details. Information is presented in a clear, easy-to-follow outline form with menu bar running heads. This format greatly assists the reader in quickly locating topics and details of interest. Each book meets the needs and skill levels of both nontechnical and technical readers, providing an elementary level of refutation and progressing to a more advanced level using arguments based on the biblical text. The writers of these volumes are well qualified to present clear and reliable information and help readers to discern truth from falsehood. Video # 8 in the College of Theology series on Christology. Video # 9 in the College of Theology series on Christology. Video # 10 in the College of Theology series on Christology. Video # 11 in the College of Theology series on Christology. Video #12 in the College of Theology series on Christology. Video # 13 in the College of Theology series on Christology. Video # 14 in the College of Theology series on Christology. Video # 15 in the College of Theology series on Christology.